How do I change what I do?? Innovation is not about the stuff; it is a way of thinking. In my role as a technology integration specialist, I hear many teachers complain that they don’t know how to plan innovative lessons or that they don’t have the time to plan new lessons. One of the most common requests is for specific examples of lessons that “qualify” as innovative. It would be virtually impossible for me to provide specific examples for all of the grade levels and subjects. The classroom teacher really needs to be the one taking the concept of change and innovation (whether with technology or not) and apply ideas to either the grade level or subject matter. I think the most effective change is change that is intrinsically motivated. If you want to change the way that you teach, it is much easier to find the time that will be needed to make these changes. The steps below will hopefully help to solidify the process that can be used to design engaging and innovative lessons. By the way, I don’t think these steps need to happen in any particular order. Use any of them as a starting point for making your classroom an exciting learning space! 1. Take a look at what you teach and ask..
What do I get excited about that doesn’t seem to transfer to students? What lessons don’t seem to engage students anymore? What lessons do students consistently say doesn’t apply to them? These questions should help you to identify those lessons that are a perfect starting point for change. This is how I methodically set out changing what I did when I was in the classroom. Don’t try to tackle everything at once or there is no doubt that you will be overwhelmed. I found that once I started to get into the mindset of change, it got easier. Planning the first few new lessons was way harder than lesson 20+. 2. Decide what type(s) of changes are necessary to make the lesson better. Do they have to memorize a set of facts or would they be better off researching and finding those facts on their own? Do those facts really need to be committed to memory? Is a lecture or whole group instruction absolutely necessary? I want to stress again, you have to answer these questions honestly. This honesty will cause you to think about everything that you do and why you do it. Just a warning…it may be hard to change your thinking, but it will be worth it! 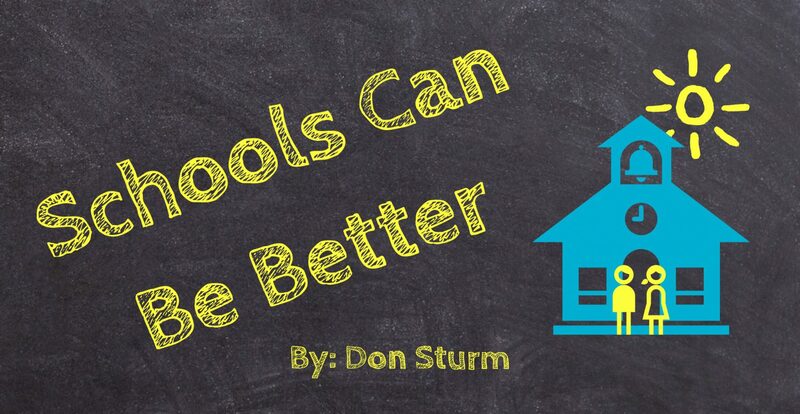 Don’t be afraid to challenge the long held beliefs about how school is supposed to look. 3. Look for specific ways to make the changes that you have decided are necessary. This is the part of lesson planning that I really enjoyed. Once you know the big picture changes you would like to make, you have to decide what help is needed to actually put your ideas into practice. You have a few options here. While you can rely on professional organizations for your subject and grade level, this is where I think social media can be extremely helpful. Twitter, Facebook, Voxer, and Pinterest are awesome places to help you get specific ideas. Finding and following the right people will give you a plethora of ideas to implement into your lessons. The other option (if available) is to contact your instructional coach/technology integration specialist/innovation coach for help. Forget technology for a moment, you should be focused on what is needed to make for an engaging experience. If it does involve technology, your comfort level will dictate the help you need. You might think back to a conference you attended and/or professional development experiences for a list of specific apps and programs that will help make the new lessons engaging and rich. You might go to your technology person and share the overall lesson idea and ask for 1:1 help with how to best accomplish your goals. I want to stress that the technology, if any, should not be at the forefront of your thought process at this point; it is about the pedagogy. Technology might play a big role in your new lesson, but I would caution that you not start with an app and figure out what to do with it. This is especially true for those who are just starting to make big changes to their classroom environment. Once you have decided the big picture, it might be a new app and/or service that sparks some ideas, but don’t put the proverbial cart before the horse. Even an app like Explain Everything, while awesome, should be considered only after deciding that students need to take on more of a role in presenting and sharing what they know. The app then becomes the vehicle by which the students show their mastery. 4. Talk, read, and share with others. This might be the most important step! Teaching is no longer that solitary profession where you enter your classroom, shut the door, and do your own thing. Let me rephrase that…teaching should NO LONGER be a solitary, lonely profession. When you want to make changes, “talk” with people. Talk with other same grade level teachers, talk with different grade level teachers, talk with teachers who teach a different subject matter, get onto social media…see the pattern here, talk with others. Teaching isn’t just about content anymore! Read whatever you can get your hands on whether it is blogs, articles, or books. All of this talking and reading will lead to ideas. These ideas will lead to more ideas, which will hopefully cause you to want to make more changes. Some will shrug and ask where will they get the time. If you want to truly make changes, you will find the time. It doesn’t have to be a lot of time, but dedicating even 10-15 minutes a day will help generate ideas. 5. Look around for great ideas! When I was in the classroom, one of the methods I employed was to think about how everything I saw that was “cool” could be replicated by my students. The important part here is that my students would create! I remember watching a Common Craft video and thinking about how my students could create one…hence History on Paper was born. A language arts colleague shared with me the idea of animated Powerpoint presentations for poems…my students designed a presentation that might play in the lobby of the National Civil Rights Museum. Are you a Tasty fan? Just think about how your students could do something like that with the content that you teach! Everything I experienced became a possibility in the classroom. Did everything work? Nope, but that didn’t stop me from trying new things. The good ones stuck, while the “bad” ones were either dropped or reworked. I am passionate about education and technology…I know I come across as annoying at times! The mantra less is more has always been a struggle for me (my colleagues still kid me about my ability to talk when in front of others). When I was in the classroom, I was the one who went to conferences and came back and wanted to try EVERYTHING that I learned…in one day. The justification that I used was that I was providing a real-world, fast-paced classroom experience for my students. I did finally come around to the fact that some students probably felt like they were on a roller coaster without the help of Dramamine . While some loved this theme park experience, others were just plain worn out! I started to focus on those skills and content that were truly important and then carefully selected (many times having the students decide) the technology or overall way that I would help guide students to master those important concepts. I had finally settled into what I thought was an effective classroom experience for my students. Three years ago I felt like I was in a position to help other educators with the daunting task of incorporating the new 1:1 iPads into their curriculum by becoming a technology integration specialist. There I was on the starting line of the greatest race I had ever run. I had forgotten most of what I had learned from my 22 years of classroom experience. What was true for my high students played out with my teachers. Some loved the roller coaster ride I was providing…others…not so much! While I am still not completely there, I think that I have started to get back into the grove that “less is more.” I have started (hopefully) to provide the exciting roller coaster ride for those who are ready for that type of experience and a gentle walk in the woods for those who need that type of experience. Just like with students in a classroom, my job working with teachers requires that I push them to step out of their comfort zone while also respecting their overall well-being. That is a tough task and one that I stress about everyday. I will continue to strive to keep in mind that LESS IS MORE! There is just so much in Part 2 to discuss, but I think this graphic is a great place to start! I remember the first time I read The Innovator’s Mindset, I stopped at this graphic and just pondered all that is presented here. The funny thing is that I asked myself…what if the physical schools could be like this graphic. Funny because I had yet to read the What if section of the book just a few pages further! Those eleven bulleted points are HUGE! Imagine how the world and our kids would be different if we focused more on the right side of the graphic than the left. The right side is what I wanted for my kids when they were in school. There were those teachers who inspired and challenged my kids, but I would say that most of their formal education took place on the left side. I tried to promote the right side when I was in the classroom as a high school social studies teacher, but I think in the end the left side won out more often than not. There were those that I think I fostered in my students…challenging perceived norms, promoting the idea that everyone is both a teacher and a learner, and making your own connections. Those were the ideas that made me love teaching. But (and I don’t mean to get negative here! ), it is challenging to truly make some of the changes that I believe need to be made. Schools are behemoths…they change at a snail’s pace. Let’s not forget that it is not just the teachers or administration who might be resistant to change. One of the biggest “roadblocks” to change is the community. The mindsets of some communities are hard to change. I know that I am preaching to the choir here, but it is REALLY hard to encourage innovative thinking when community members are not convinced of the benefits of the right side concepts. I can only speak for the areas in the Midwest where I have lived and taught but, the common thought is teachers need to teach and kids need to learn. Teachers talk, kids take notes. Teachers give tests, students take tests. Community expectations make it more difficult to convince teachers to try for more of the right side! So what can be done is what has been suggested by George Couros, innovate inside the box. As educators, we need to make those right side ideas/concepts part of the culture of the classroom. Just as we can help one teacher at a time innovate, so can we make changes to the community as a whole. It would be hard to question the excitement for learning that your child brought home as a result of having a teacher who believed in the right side ideas. What if education became more about learning and less about schooling? ?